The USA/Canada Hostels & Travel Guide, a popular travel planning and reference tool for backpackers, students and budget travelers, is now available in an online version © 2012 Karen Rubin/news-photos-features.com. The USA/Canada Hostels & Travel Guide, a popular travel planning and reference tool for backpackers, students and budget travelers, is now available in an online version. Published by Bakpak Travelers Guide, the 92-page digital guide is a replica of the print version and includes tips and information on popular trip ideas, backpacker and adventure tours, car and campervan rentals, listings for over 200 hostels and covers the most popular destinations. The Guide is also packed with information on free and cheap things to do which save travelers money. The digital edition, powered by Issuu, can be downloaded, printed and viewed online at www.bakpakguide.com. The digital version also provides web links to all the hostel and tour companies and advertisements found in the guide. “The print guides fly off the shelf at hostels and international student program offices. Now any traveler worldwide can get it online and start planning their backpacking USA or Canada adventure,” says Bakpak Dave, Chief Bakpaker and publisher. Bakpak Dave Barish launched Bakpak Travelers Guide in March 1998 and also publishes a Backpacking Europe Hostels & Travel Guide. Prior to Bakpak, David set-up, co-owned and operated a top-rated hostel, the Nomads Market Inn, in South Melbourne, Australia. Prior to his involvement in the travel industry, Dave was a senior accountant at Arthur Andersen in New York and Price Waterhouse in Melbourne, Australia. The countdown is on to the start of the 2012 Olympic Games and, with visitors to London facing expensive travel costs, this is the perfect time to arrange a home swap and cut out accommodation costs completely. With thousands of Home Base Holidays members living near Olympic venues in and around London and many offering their homes for exchange during the Olympics and Paralympics, there are so many attractive home swap offers to choose from. Gloria, Joe and daughter, Harper are exchanging their large 1894 Victoria home complete with turret in Woodstock, Ontario, for the Salter family’s modern home in South Woodford, East London. Home Base Holidays spokesperson, Lois Sealey, says: “Arranging a home exchange is a great money saver especially during a busy period like the Olympics when hotel room rates are soaring. Swapping homes enables visitors to experience the ‘real’ city like Londoners while enjoying the space and convenience of a comfortable home.” See Olympics home exchange information and sample offers. Founded in 1985, Home Base Holidays is a long established home exchange service with offices in London and Asia, providing free information in monthly newsletters and blog, Travel the Home Exchange Way. Join Home Base Holidays for only £29 for a full year’s membership. Arrange as many swaps as you like from the thousands of up-to-date home swap offers available in 70+ countries. Travcoa, the world leader in luxury travel, is offering a custom-crafted multi-family luxury safari to East Africa this summer. The exclusive14-day “Kenya: African Family Adventure” will be led by Travcoa Travel Director and professional photographer, Kymri Wilt. This Escorted Journey highlights the breadth and mystery of Kenya’s unspoiled frontier, and Kymri has personally crafted the itinerary and hand-picked luxury lodges and camps which embody the iconic African safari experience. From superb wildlife viewing to enriching cultural interactions, there is something special for all ages to enjoy – a wonderful way for parents and grandparents to share exceptional and inspiring experiences with their children and/or grandchildren. Departing July 29, 2012, Travcoa’s “Kenya: African Family Adventure” starts at $11,990 per person. Pricing for children under 16 starts at $9,990. Guests will stay in Kenya’s legendary lodges and tented camps in Nanyuki and discover the world-famous Kenyan National Parks of Meru, Amboseli and Masai Mara. Highlights include visiting the Giraffe Center, the Sweetwater Game Reserve, David Sheldrick’s Elephant Orphanage, a hot air balloon ride over the Masai Mara and interacting with Maasai villagers. For more information about the “Kenya: African Family Adventure” or to request a brochure please contact Travoca at 1-800-992-2003 or go online at www.travcoa.com. 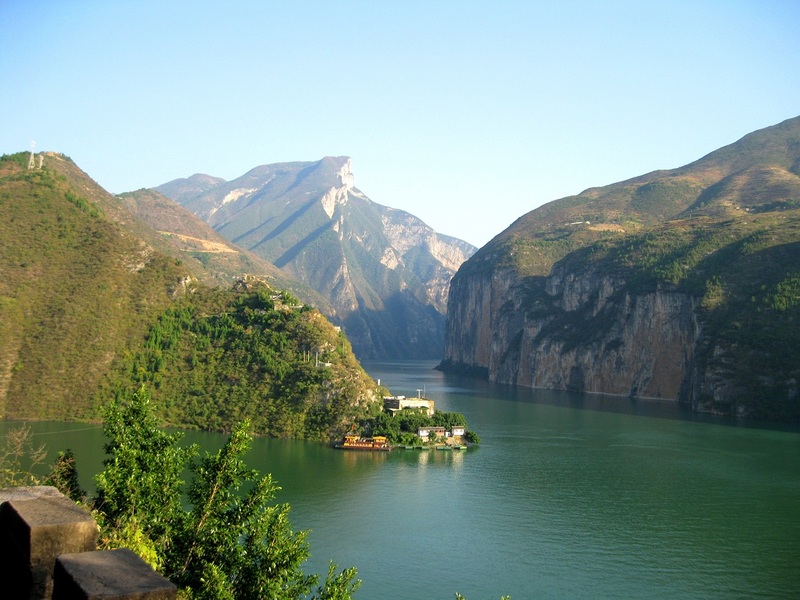 Qutang Gorge Victoria Cruises is now offering a new optional Tribes of the Three Gorges excursion on its four-night upstream Yangtze River sailings from Yichang to Chongqing. Victoria Cruises (http://www.victoriacruises.com) is now offering a new optional Tribes of the Three Gorges excursion on its four-night upstream Yangtze River sailings from Yichang to Chongqing. Priced separately from Victoria Cruises’ standard excursion package at an additional $42 per person, the tour provides an introspective glimpse into local life in the Xiling Gorge region with opportunities to see Toad Spring, statues of the ancient Ba nationality, scenic Dragon Stream, Monkey Hill (featuring more than 200 wild specimens), Lover Bridge and Huanglong Waterfall. Additionally, passengers opting for the excursion will meet local fisherman and enjoy a boatman performance as well as Crying Wedding performance, a custom of the Tujia nationality. Victoria Cruises’ standard excursion package is priced from $90 per person, which includes the “Ghost City” of Fengdu and Three Gorges Dam excursions, as well as an incredible sailing experience through the Small Gorges of the Daning River, one of the Yangtze’s tributaries (may be substituted for Shennong Stream tributary sailing at Victoria Cruises’ discretion). The Small Gorges excursion culminates with a tranquil sampan journey through the “Mini Gorges” of the Ma Du River, itself a tributary of the Daning. Victoria Cruises also offers additional optional excursions, such as White Emperor City, which is priced at $38 per person, in addition to the cost of Victoria Cruises’ standard excursion package. Overlooking the Western end of Qutang Gorge, White Emperor City has long been a refuge for would-be kings and poets who traveled there to be inspired by the breathtaking views. Legend has it that in 25 A.D., white vapor in the shape of a dragon rose from a well, and Gong Sunshu, a soldier who had been headquartered there, declared himself the “White Emperor.” Remains of the city wall can be seen on the hill behind Baidi Mountain, and a temple built to commemorate Gong’s reign dates back more than 1,950 years. Travelers can book excursions as well as upgraded meal service and other VIP amenities offered through Victoria Cruises’ Executive Deck program in advance of departure, or they can upgrade onboard based on availability. Victoria Cruises’ Executive Deck program features “white glove” concierge service, enhanced ship placement, access to exclusive VIP areas, exclusive shore excursions for groups of six or more, à la carte meal services or reserved window seating in the main dining room, exclusive happy hour, complimentary Internet access, exclusive cultural demonstrations and reserved seating for evening entertainment. The four-night cruise is priced from $880 per person for a private balcony Superior Stateroom. Superior Staterooms on the Executive Deck start at $1,080 per person, while Executive Suites, Deluxe Suites and Shangri-La Suites start from $1,340, $1,820 and $2,300 per person, respectively. Prices are based on double occupancy and may vary based on ship and deck placement. For more information and a free color brochure or promotional DVD, contact Victoria Cruises at 57-08 39th Avenue, Woodside, NY 11377; phone 800-348-8084, 212-818-1680; fax (212) 818-9889. Send e-mail to contact@victoriacruises.com or visit http://www.victoriacruises.com. Gabriel Communications’ highly successful television shows, “Larry’s Country Diner” and “Country’s Family Reunion” will once again take to the high-seas for a five-day “down-home” Caribbean Cruise. Fans can climb aboard the Royal Caribbean Liberty of the Seas cruise liner January 19-24, 2013 and enjoy entertainment featuring Bill Anderson, Jeannie Seely, Jim Ed Brown, Helen Cornelius, Gene Watson, Moe Bandy, T. Graham Brown, Ronny Robbins, with more artists to be announced. Of course, there will be a special onboard Larry’s Country Diner show, featuring the entire cast, and very special stand-up performances by the ever-popular Nadine. The Liberty of the Seas, which will dock at ports of call including Cozumel and Belize, boasts amenities such as a 9-hole golf course, waterpark, full-sized sports courts, fitness center, day spa and unlimited onboard activites. Book by calling: 1-800-820-5405 or by logging on to www.cfrcruise.com. In just two years, “Larry’s Country Diner,” has become one of country music consumers’ favorite “eateries.” One of the top-rated shows on the RFD-TV network, this “down home” variety show serves up a heapin’ helpin’ of spontaneous country music performances by the stars of yesterday and today, with a generous portion of laughs. 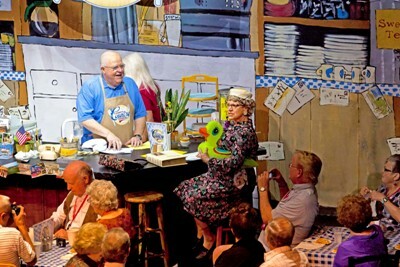 Set in a rural, small-town diner, the show’s spontaneity and impromptu nature only add to its charm and unique appeal, pulling an estimated audience 1.4 million people each month to the upstart network. The St. Maarten Hospitality & Trade Association recently launched its travel auction site www.stmaartenauction.com to drive tourism to the destination by offering vacationers the option to bid on hotel stays and activities to create the most of a St. Maarten vacation. Beginning March 19 through April 2, 2012, Oyster Bay Beach Resort is on the bidding block with a three-day stay for two in a studio apartment with the vacation starting at $50. This month’s deal includes hotel accommodations for two at Oyster Bay Beach Resort in a studio apartment, welcome and farewell cocktail party, two VIP tickets for the 12-metre regatta (where guests will enjoy the journey of a lifetime where they can participate and become a crew member as they are assigned positions onboard a retired racing ship for a mini-race); shopping trip courtesy of AMA Jewelers including a $50 AMA voucher, professional shopping guide, transportation to and from the hotel, unlimited beverages and raffle for a bottle of wine. This offer is valid through Dec. 15, 2012 (blackout dates of Easter, Thanksgiving, Christmas and New Years Eve). Couples who tie-the-knot at Mango Bay Barbados can get a free wedding package with a 14 night vacation at the all-inclusive resort; guests booking 7 nights are given 50% off the 'Nuptials Package.' 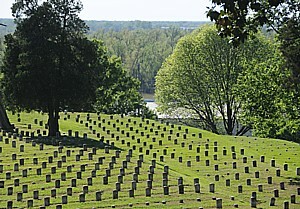 Reservations must be made directly with the hotel by April 15 for travel June 1 - Oct. 31, 2012. Couples looking to tie-the-knot at the boutique Mango Bay (www.MangoBayBarbados.com), Barbados, will receive a FREE wedding package (valued at US$1,025) with a two-week (14 nights) vacation at the all-inclusive, 76-room, property. 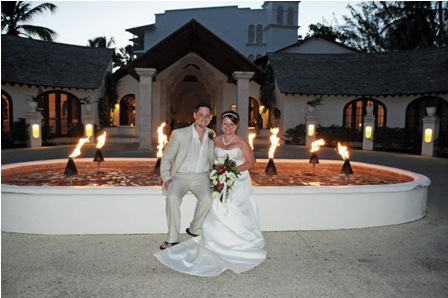 Additionally, guests booking a minimum of seven nights are given 50% off the resorts ‘Nuptials Package.’ This offer is valid on new reservations made directly with the hotel by April 15, 2012 for travel June 1 – Oct. 31, 2012. The soon-to-be-betrothed can say ‘I Do’ amidst a picture-perfect setting with the help of a personalized wedding coordinator to make the big day extra special. Setting Mango Bay apart from other wedding destinations is that the resort understands that each wedding is as unique as each couple. Each ceremony is personally arranged so that the idyllic vision of the couple is met and carried out to perfection. “Mango Bay guarantees that each wedding receives the utmost in attention and detail and only allows two weddings per week allowing the resort to focus solely on those two and those couples,” said Peter Odle, Chairman. All-inclusive nightly rates start at US$535 per room, per night, based on double occupancy and include hotel accommodations, all meals, afternoon tea, all local and brand name drinks including wine with dinner, use of the resort’s gym, watersports (waterskiing, hobiecat sailing, kayaking and snorkeling) and nightly entertainment. Spa treatments are available for an additional fee at Elements Spa located at the resort. Couples who want to marry in Barbados must have valid passports or birth certificates (original or certified), death certificates if widowed, marriage certificate if previously married, and decree absolute or certified copy of the final judgment if either party was divorced. All documents not in English must be accompanied by a certified translation. For Jewish weddings, the couple must arrange for a Rabbi to perform the ceremony. For more information on Mango Bay, Barbados call 246-432-1384; fax: 246-432-5297; e-mail reservations@MangoBayBarbados.com; or visit www.MangoBayBarbados.com. With other luxury cruise lines yet to dip their bows into 2014’s seemingly far-off waters, Crystal Cruises’ early-2014 preview itineraries are now open for booking. Seventeen voyages visiting 74 ports in 34 countries are available for January to April 2014 on Crystal Serenity and January through May on Crystal Symphony. “Book Now” fares offer savings of up to $2,000 per couple off attractive 2-for-1 brochure prices until June 30, 2012. Distinctive, less-cruised, less-easily-accessible lands like Ghana, Mauritius, Brunei, Burma, the Cook Islands, Tonga, Sao Tome, Senegal, Namibia, and Angola complement vacation favorites like the Cayman Islands, Panama Canal, Thailand, and Hawaii. Crystal is not only maiden calling in Luanda, Angola; Lombok, Indonesia; and Malacca, Malaysia, but also returning to several destinations not visited in years, such as the Andaman Islands, India; Okinawa and Tokyo, Japan; the UK’s Pitcairn Islands; and Jakarta, Surabay, and Ujung Pandang, Indonesia. All voyages but one offer overnights in local ports-of-call, including “double overnights” (two consecutive nights) in Yangon (Myanmar/Burma), Yokohama, Ho Chi Minh City, Cape Town, Hong Kong, Singapore, and Shanghai. 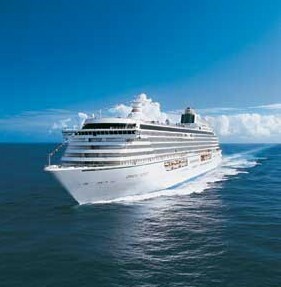 Winter/spring voyages range from 12 to 26 days, in addition to a five-segment, 89-day World Cruise. Ø Rare visits to USA’s Mariana Islands and Guam. Ø Multiple Asian segments, one with three Vietnamese stops. Ø Rounding Africa from Mauritius Islands to Morocco, with three South African stops and a maiden call in Luanda, Angola. Ø Combine with Jan 5’s Panama Canal voyage beforehand to sail all the way from Miami to the UK. Until June 30, 2012, “Book Now” fares for 2014 start at $2,975, with attractive air add-ons from over 90 North American gateways. Crystal Cruises’ resort experience always includes a host of complimentary amenities, from enlightening enrichment speakers and fitness classes to pampering pillow menus and specialty restaurant dining including the cuisine of Nobu Matsuhisa. Starting this spring, vacations will also include complimentary fine wines and premium spirits throughout the ship, open bar service in all lounges, and pre-paid gratuities for housekeeping, bar and dining staff. Crystal’s passion for taking care of guests in an inviting environment of extraordinary space, quality and choices has earned the company more “World’s Best” awards than any other cruise line, resort, or hotel in history.